Some men choose sides, others choose battles, and others fight regardless of the side or battle. One such man not only fought for three different countries, but also in three (and a half) separate wars. But don’t let that fool you. Though he fought for different sides, he did so against only one enemy. Lauri Allan Törni was born on May 28, 1919 in Viipuri (Karelia), Finland. A sporty sort, he was once friends with Sten “Stepa” Suvio – the Finnish welterweight boxer who won the 1936 Summer Olympics. With friends like that, it’s little wonder that he joined the Civil Guard despite attending business school. 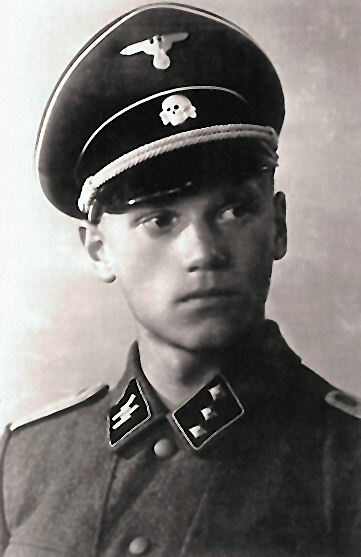 Upon graduation in 1938, the 19-year-old Törni joined the 4th Independent Jaeger (an elite infantry unit) Infantry Battalion. And just in time, too. 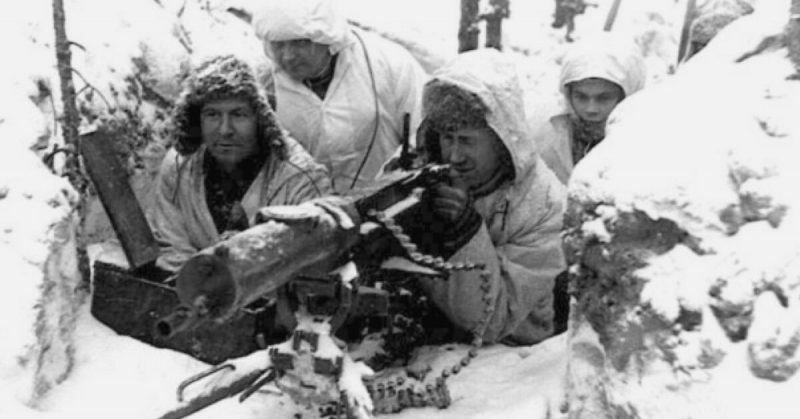 Because on November 30, 1939 the Soviet Union invaded Finland – the Winter War had begun. Being more numerous and better armed, the Soviets had expected a quick victory. Boy, were they in for a surprise! The Finns knew they had no hope of defeating the invaders. There were far too few of them with far fewer weapons, and the border they shared with the Soviets was way too big. All they could hope for was a war of attrition while they convinced the outside world to help. Unable to wait, however, they did the best they could – surprising everyone. Törni did his part by engaging the Soviets at Rautu – then part of Finland, but today the Russian town of Sosnovo. He saw action again at Lake Ladoga under General Harald Öhquist. 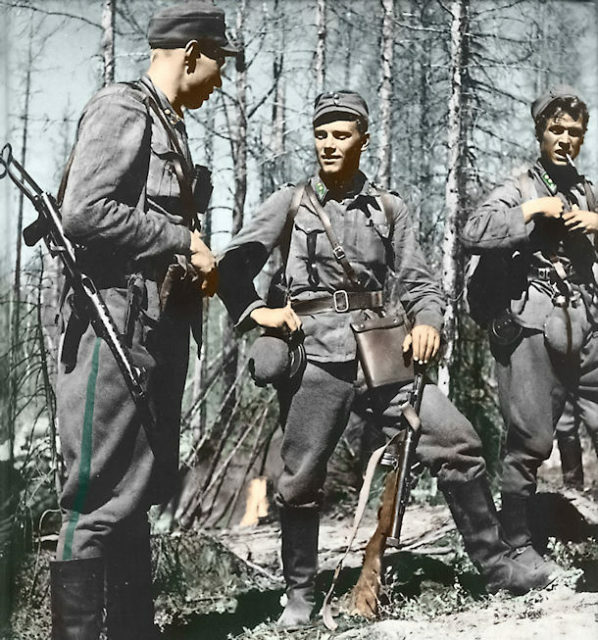 Using guerilla tactics and taking advantage of poor Soviet tactics, the Finns circled three enemy divisions near Viipuri on December 23. Though the Soviets were extinguished, it was done at the cost of about 1,300 Finnish lives. Not that it did any good. Finland inevitably lost and signed the Moscow Peace Treaty on March 12, 1940. The war officially ended the day after with Finland losing territory in exchange for their guarantee of independence. Törni had distinguished himself during the Winter War and earned himself the rank of 2nd lieutenant in the reserves. Instead of celebrating, however, he vowed revenge. Which was why he went to Vienna, Austria in 1941. There he spent the next seven weeks training with the Waffen Schutzstaffel (SS) – the “Protective Squadron” of Germany’s Nazi party. He did so well that he achieved the rank of Untersturmführer – similar to a second lieutenant. With that under his belt, he returned to Finland… and a good thing, too. Because the Soviets again invaded on June 22, 1941 – starting the Continuation War. In the Soviet Union’s defense, they had to because that was the same day that Germany invaded them. To secure their northwestern border, they had to take Finland… or at least try. This group’s function was to go behind enemy lines for attack and sabotage operations. They were so effective that the Soviets put a bounty on Törni’s head for 3 million Finnish marks (about US$650,000). No one ever tried to collect. 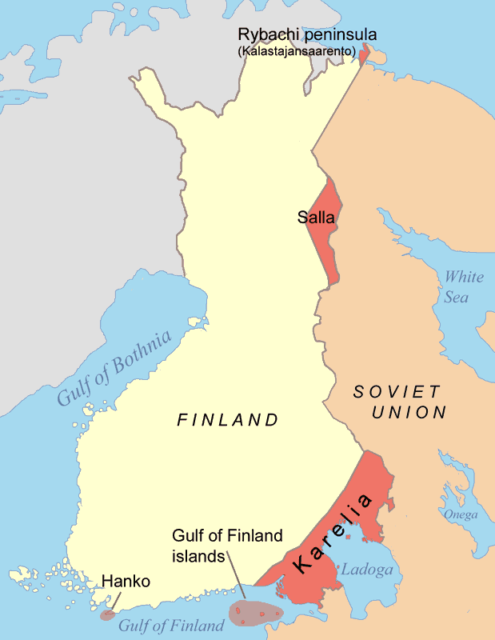 Finland actually penetrated Soviet territory till it was forced to retreat and sign the Moscow Armistice on September 19, 1944. This was followed by the 1947 Paris Peace Treaty, which formally ended the war. They had to give up territory and pay reparations, but had firm guarantees of their independence – a state of affairs still recognized today. As for Törni, he got Finland’s highest military award – the Mannerheim Cross of the Order of the Cross of Liberty. The celebrations, however, were brief. With the armistice in place, the Finns were required to expel all German forces on their soil. They did so, bringing about the Lapland War between themselves and Germany. The timing couldn’t have been worse. The armistice also required Finland to demobilize its military, leaving only a tiny force to deal with the Germans. It also meant that Törni no longer had a job by November, so he sat this one out. Though patriotic, he was in disagreement with his country’s decision to expel German forces. It wasn’t that he had become pro-Nazi. It was that he had become virulently anti-Soviet and fanatically anti-Communist. Nor was he convinced that Finland had seen the last of the Soviet Union. So when a pro-German resistance movement approached him in January 1945, he was all ears. Which was how he found himself in Germany – learning to be a saboteur till his training was cut short in March. Unable to return to Finland, he joined a local unit fighting the Soviets near Schwerin, before surrendering to the Allies. They chucked him into a POW camp in Lübeck, which he escaped, finally returning to Finland in June. Bad timing. Finland was anxious to disassociate itself from its former ally, so they arrested Törni for fighting for the wrong side. Officially, they called it treason. He escaped, but was caught in April 1946, sentenced to six years, escaped again, and was recaptured, before receiving a pardon from the president in December 1948. Fed up with his country, Törni made his way to Sweden the following year. In 1950, he boarded a cargo ship bound for America and joined the US Army in 1954. By then, he had a new name – Larry Thorne. Given his experience, he made it to the Special Forces where he taught survival skills and guerrilla tactics. By 1963, he was in South Vietnam where he earned two Purple Hearts and a Bronze Star Medal. So that makes three wars. As to the “half” bit, that came in 1965 during Thorne’s second tour of duty in Vietnam. 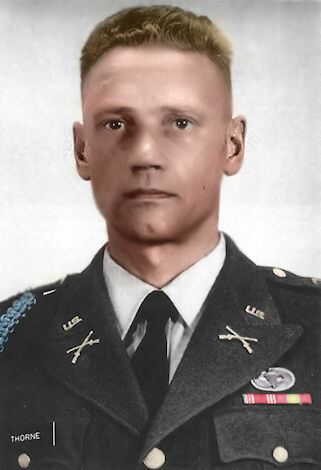 As part of Military Assistance Command, Vietnam – Studies and Observations Group (MACV–SOG), Thorne was conducting a clandestine operation on October 18, 1965 when his helicopter crashed in Quảng Nam Province. A joint US-Finnish mission found his body in 1999, repatriating it to the US – an event attended by then-Secretary of State Madeleine Albright. He now rests at the Arlington National Cemetery. As for Finland, they consider him a national hero, once more.